Six Australian projects have been selected for the 2019 Berlin International Film Festival (Berlinale). Feature film Buoyancy directed by Rodd Rathjen and produced by Causeway Films whose credits include The Babadook, Cargo and The Nightingale will have its world premiere at the festival, as well as feature documentary 2040 written and directed by Damon Gameau (That Sugar Film). This news comes after a historic six Australian feature films were selected to screen at Sundance Film Festival which began yesterday. Feature documentary She Who Must Be Loved from Erica Glynn will have its international premiere as part of the NATIVe program which celebrates Indigenous storytelling. Critically acclaimed 2015 feature film Tanna directed by Bentley Dean and Martin Butler will also screen in the NATIVe program, as well as short film Blackbird directed by Amie Batalibasi. The Mermaids, Or Aiden in Wonderland by Karrabing Film Collective, an experimental short film about what might happen at the end of the world will screen as part of the festivals 14th Forum Expanded program. Two Australian producers Kate Laurie and Peter Ireland have been selected to participate in the Berlinale Talents program, as well as production designer and art director Alicia Clements. Actress Tilda Cobham-Hervey will sit on the International Generation Kplus jury. Her short film A Field Guide to Being a 12-Year-Old-Girl screened in the festivals Generation Kplus program last year and won the Crystal Bear for Best Short Film in that program. Australian producer Greer Simpkin from Bunya Productions is part of the international team behind Flesh & Blood which will be pitched at the European Film Market’s Co-Production market for Co Pro Series. The Berlin International Film Festival runs 7-17 February 2019. Synopsis A high-concept feature documentary that looks to the future, but is vitally important NOW! Production Credit: 2040 is a GoodThing Productions and Regen Pictures production. Major production investment from Screen Australia, in association with Shark Island Institute, Good Pitch Australia and Diamond Docs. Financed with support from Film Victoria and Cumulus Visual Effects. Synopsis In the late 1800s, Solomon Islander siblings Kiko and Rosa struggle to survive whilst labouring on a Queensland sugar plantation. This narrative short sheds light on the little known history of Australia’s ‘sugar slaves’. Production Credit: Blackbird is a Victorian College of the Arts (VCA) production. Principal production support from the 2015 Regional Arts Development Fund - Queensland Government and Mackay Regional City Council, in association with Mackay Yamadi Lera Yumi Meta Association Inc. Financed with support from Pozible backers; 2015 VCA Margaret Lawrence Social Justice Award, Moving Clickers ‘Kickalong’ Award and Panavision Script Production Award. Synopsis An innocent Cambodian boy is enslaved on a Thai fishing trawler and soon realises that his only hope of freedom is to become as violent as his captors. Production Credit: Buoyancy is a Causeway Films production. Major production investment from Screen Australia, in association with Melbourne International Film Festival’s MIFF Premiere Fund. Financed with support from Film Victoria, Feracious Entertainment, Anupheap Productions and Definition Films. Synopsis She Who Must Be Loved details the life story of Freda Glynn and what it took for Aboriginal & Torres Strait Islander people to stake a claim amongst Australia’s media landscape. Production Credit: She Who Must Be Loved is a Since 1788 Productions production for NITV. 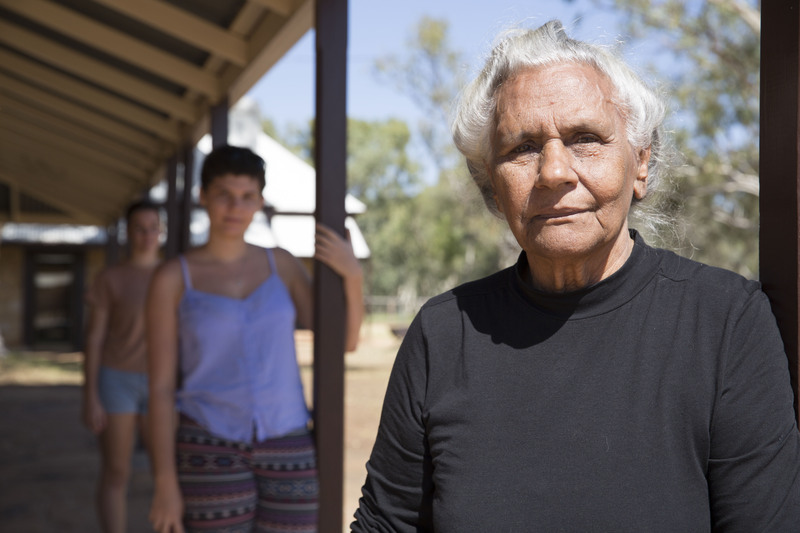 Principal production investment from Screen Australia, in association with NITV. Financed with support from the Adelaide Film Festival. Berlin Film Festival International Premiere as part of the NATIVe series dedicated to the cinematic storytelling of Indigenous peoples from around the world. Synopsis A groundbreaking glimpse into life, love, war and peace in one of the last tribal societies on earth. Berlin Film Festival Screening as part of the NATIVe series dedicated to the cinematic storytelling of Indigenous peoples from around the world. Here are a selection of stills from the Australian line-up at the Berlin International Film Festival (Berlinale) in 2019.